Mystery • Bobbi Ann Campbell went on an errand 18 years ago and never returned. Bobbi Ann Campbell. Courtesy photo Francisco Kjolseth | Tribune file photo Stephanie Cook last saw her mom at the age of 5 when she went missing back in 1995. Bobbi Ann Campbell had just dropped off her daughter at a friend's house and was planning on picking up her paycheck, going to the bank and then the grocery store. Turns out she never even made it to pick up her check and her whereabouts have been a mystery since then. 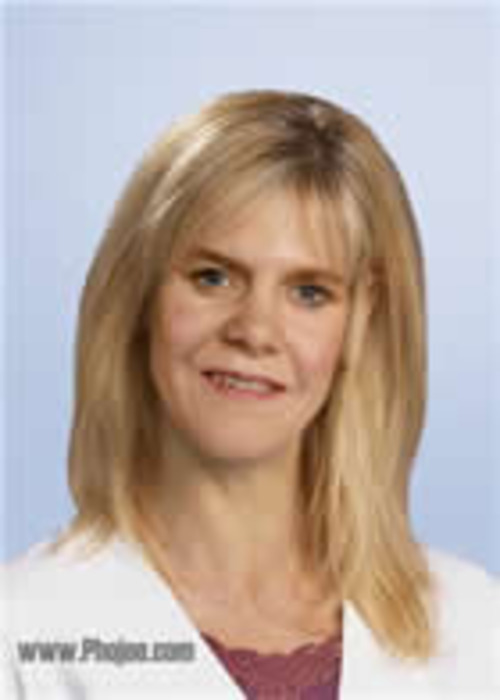 Bobbi Ann Campbell, pictured in a digitally enhanced photo showing how she might have aged. Courtesy of Utah Public Safety website Trent Nelson | The Salt Lake Tribune Stephanie Cook, left, watches balloons released to mark the day her mother, Bobbi Campbell, disappeared 18 years ago. Thursday December 27, 2012 in Cottonwood Heights. With Cook is Rebecca Storrs and Cook's husband Trevin Cook. 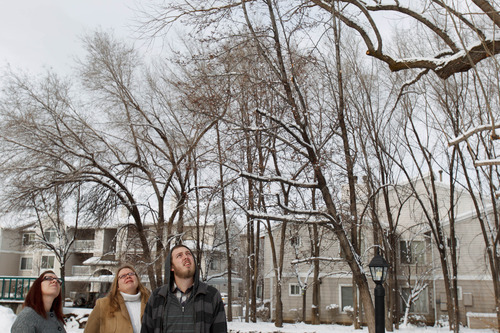 Trent Nelson | The Salt Lake Tribune Stephanie Cook, left, releases balloons on Thursday in Cottonwood Heights to mark the day her mother, Bobbi Campbell, disappeared 18 years ago. With Cook is Rebecca Storrs and Cook's husband Trevin Cook. Trent Nelson | The Salt Lake Tribune Stephanie Cook, left, releases balloons to mark the day her mother, Bobbi Campbell, disappeared 18 years ago. Thursday December 27, 2012 in Cottonwood Heights. With Cook is Rebecca Storrs and Cook's husband Trevin Cook. 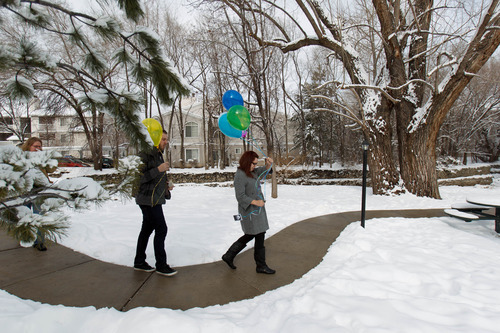 Trent Nelson | The Salt Lake Tribune Stephanie Cook attaches a sonogram of the baby she's expecting to balloons she released to mark the day her mother, Bobbi Campbell, disappeared 18 years ago. Thursday December 27, 2012 in Cottonwood Heights. On the back of the sonogram was a note to Campbell telling her she's, "going to be a grandma this year." 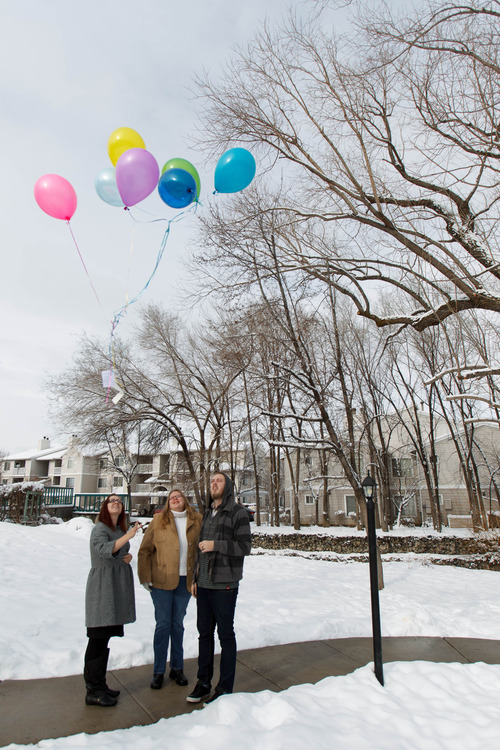 Trent Nelson | The Salt Lake Tribune Stephanie Cook, center, released balloons on Thursday in Cottonwood Heights to mark the day her mother, Bobbi Campbell, disappeared 18 years ago. 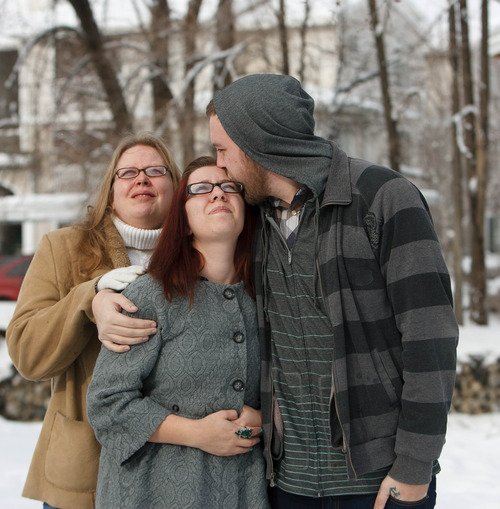 With Cook is Rebecca Storrs, left, and Cook's husband Trevin Cook. 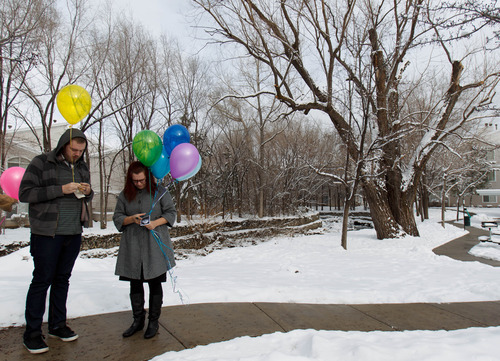 Trent Nelson | The Salt Lake Tribune Stephanie Cook prepares to release balloons to mark the day her mother, Bobbi Campbell, disappeared 18 years ago. Thursday December 27, 2012 in Cottonwood Heights. At left is Rebecca Storrs and Cook's husband Trevin Cook. 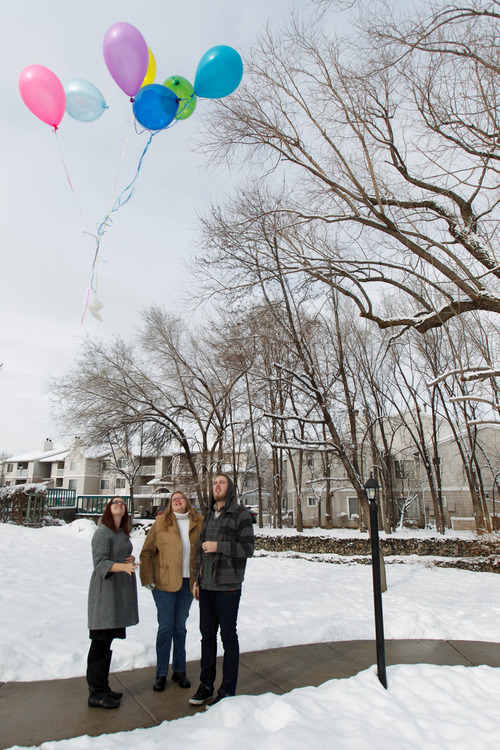 Trent Nelson | The Salt Lake Tribune Stephanie Cook prepares to release balloons to mark the day her mother, Bobbi Campbell, disappeared 18 years ago. Thursday December 27, 2012 in Cottonwood Heights. At left is her husband Trevin Cook. For the past six years, 23-year-old Stephanie Cook has released balloons to remember her mother, who disappeared 18 years ago in Salt Lake County. Usually, she attaches notes or letters to the balloons before sending them skyward. But this year was different. 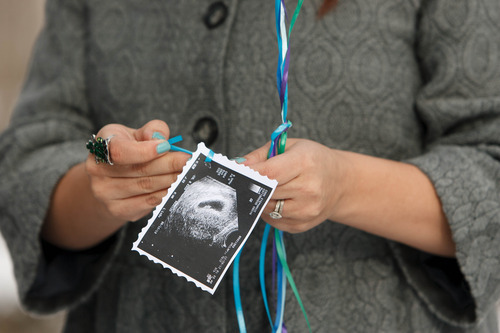 Cook tied a photo of a sonogram to one of seven balloons released Thursday so that her mother, Bobbi Ann Campbell, would know she is going to be a grandma. Cook last saw her mother in 1994. It was Dec. 27 and the then 24-year-old Campbell left her daughter at a friend&apos;s house while she went to pick up a paycheck. But instead of getting the check, police say, she vanished. Cook hasn&apos;t seen Campbell since, but that hasn&apos;t stopped the Cottonwood Heights woman from searching and remembering her blond, blue-eyed mother. She has released balloons for her missing mom every year since she was 18, which was when her search began, she said. In the summer, Cook said she will sometimes pass out fliers to try to raise awareness about her mother&apos;s disappearance. "If I were in her position, I wouldn&apos;t want anyone to give up one me," she said Thursday. "I wouldn&apos;t give up on her." Police continue to search for answers in Campbell&apos;s disappearance. Salt Lake Unified Police Detective Todd Park  who investigates cold cases  said he still receives leads about the case, though none have shed light on what might have happened to Campbell. Investigators have said that Campbell may have been spotted in a local park six months after her disappearance. In late 1995, her vehicle was discovered abandoned near the Jordan River. Campbell&apos;s makeup, purse, clothes and year-old Christmas presents reportedly were inside. Park conceded that after 18 years, Campbell may no longer be alive. However, he praised Cook for her involvement, which ultimately generated many of the leads. "In cases like this, yes, it does make a difference," Park said of Cook&apos;s work. "She&apos;s done a phenomenal job." Park said he has roughly 55 open cold cases. At any given time he is working on two of them, but he always keeps Campbell&apos;s file on his desk. 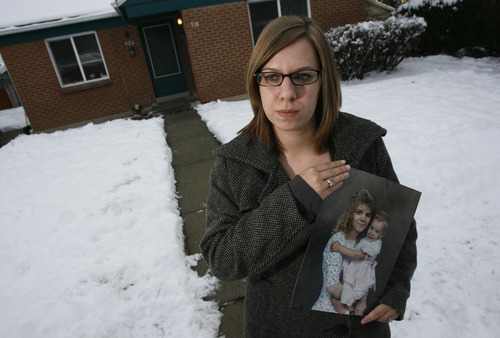 Campbell is one of 74 missing Utahns, according to the Utah Missing Persons Clearinghouse. 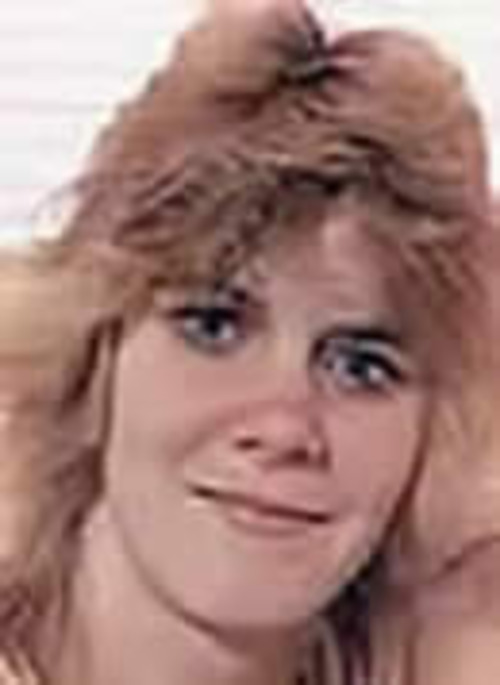 Anyone with information regarding Bobbi Campbell is urged to call Detective Todd Park at 801-743-5850 or visit the Unified Police Department&apos;s cold-case website at bit.ly/VE0rdq.